The name, Thien Mu pagoda,takes its source from a legend. It was told that long ago, there appeared an old woman every night on the hill where the pagoda stands today. She told local people that a Lord would come and build a Buddhist pagoda for the country’s prosperity. Lord Nguyen Hoang, on hearing that, ordered the construction of a pagoda in 1601 and named it Pagoda of the Heavenly Lady. Since then, it has been restored and developed several times. Two most important restorations took place during 1714 – 1715 in Lord Nguyen Phuc Chu’s reign and 1844 – 1846 under Emperor Thieu Tri. Thien Mu pagoda once had dozens of nice buildings. In fact, the steps lead right from the water up to Thien Mu pagoda. 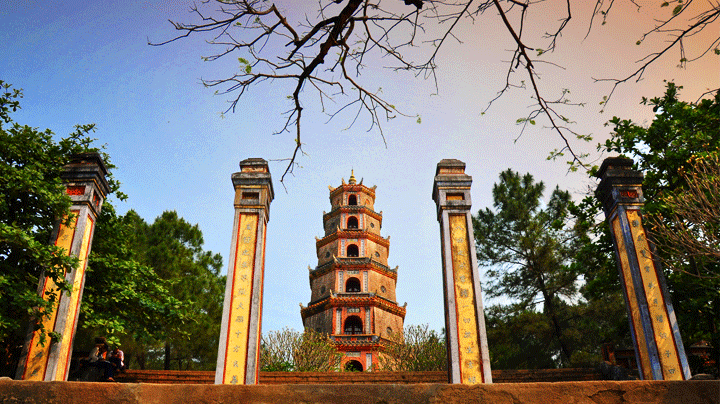 Phuoc Duyen tower – an octagonal tower was built in 1844. There are smaller pavilions on 2 sides of the tower. The Thien Mu pagoda area (280m x 100m) can be divided into two sectors separated by the Triple Gate. The front sector comprises memorials such as: the Phuoc Duyen Tower (seven – stored high : 21m), Big Bell (Weight: over two tons, cast 1710), Stele on Tortoise (carved 1715), Stele “Bell of Pagoda of the Heavenly Lady” (erected 1846)…The rear sector is a built – up area for the cult of Buddha and monks’ activities. There preserved in the pagoda some precious antiquities, for example, the bronze gong cast in 1677, the 1714 wooden gilded board with Lord Nguyen Phuoc Chu’s inscription, etc. Landscape and monuments, both in perfect harmony, keep mirroring themselves in the clear and quiet Perfume River. Only 4 km from Hue city center, Thien Mu pagoda evokes, however, in tourists the feeling of a peaceful and unearthly world. Aside from the Hue citadel, Thien Mu Pagoda is another must see in Hue. 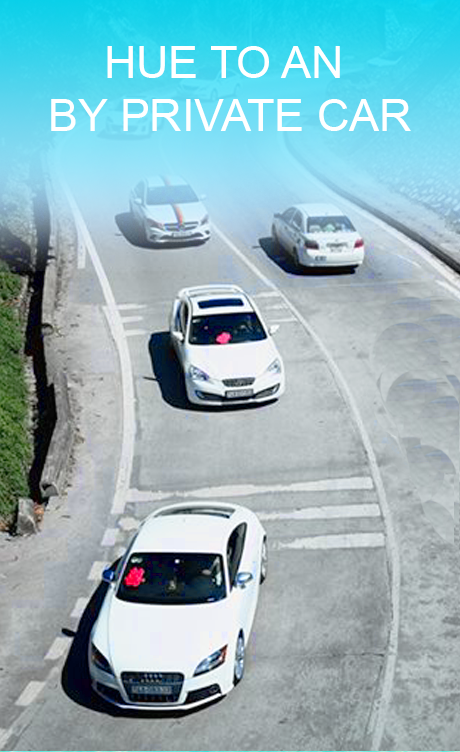 If the weather is fine and take part in Hue city tour with us and get there.